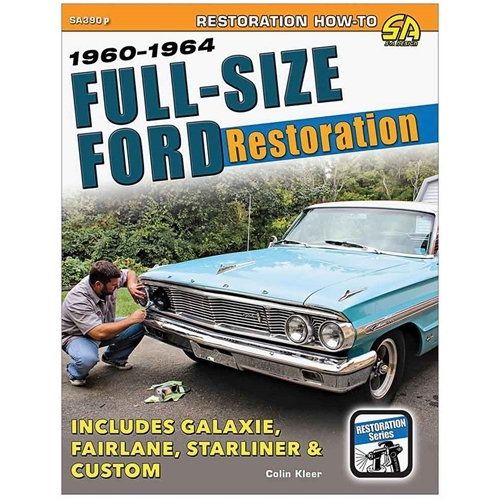 With more than 2.3 million full-size Fords produced from 1960 to 1964, a restoration book for these cars has been desperately needed, and here it is! Kleer, president of Pennsylvania's Three Rivers chapter of the Galaxie Club puts his decades of experience restoring these cars into this single volume. Featuring step-by-step procedures on body, driveline, chassis, and interior components, Kleer shows, with more than 400 photos and text, how to restore a full-size Ford to its former glory. Crucial projects such as rust repair and driveline maintenance help guarantee that your Ford will be sound and solid for years to come after the restoration. Softbound. 8.5 x 11. 192 pages.